Writing is only part of the picture when it comes to being an author. Now that you have a manuscript, you want to get it published and have as many people as you can read and buy it. For many writers, no matter how hard it is to write a book, the following stage seems more daunting, even for mid-career authors. But if you want to keep writing, you need to figure out how to publish and market your books—all while making sure you protect your rights—and that’s where we come in. 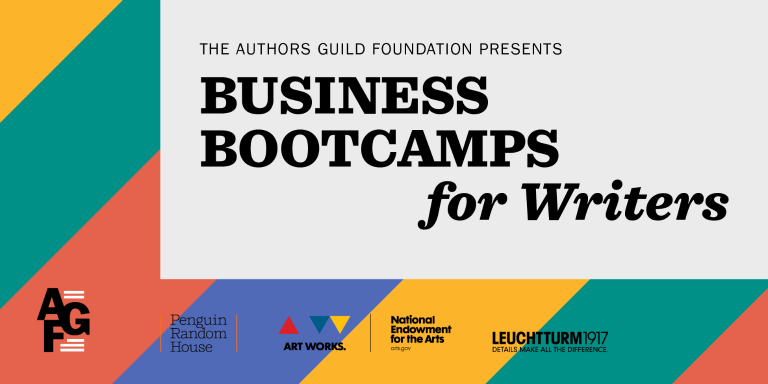 This bootcamp will present a panel that includes legal experts, editors, agents and marketing and sales professionals as well as local authors who have navigated this side of the writing business. Join us for this one-day intensive writing workshop! Not located in one of the cities above? You can still take part in our Business Bootcamp series. Our tour will be supplemented by follow-up webinars /online Q&A sessions, which will be available to everyone. Sign up for our email alerts to receive early access to our digital classes. This project is supported in part by an award from the National Endowment for the Arts. To find out more about how the National Endowment for the Arts impacts individuals and communities, visit www.arts.gov.